We don’t always have the opportunity to share a “before” image of an Orange Frazer creation. If you know our lead designer, Brittany, you know that she usually makes the magic happen with nothing but a manuscript and her own creative juices as her guide. 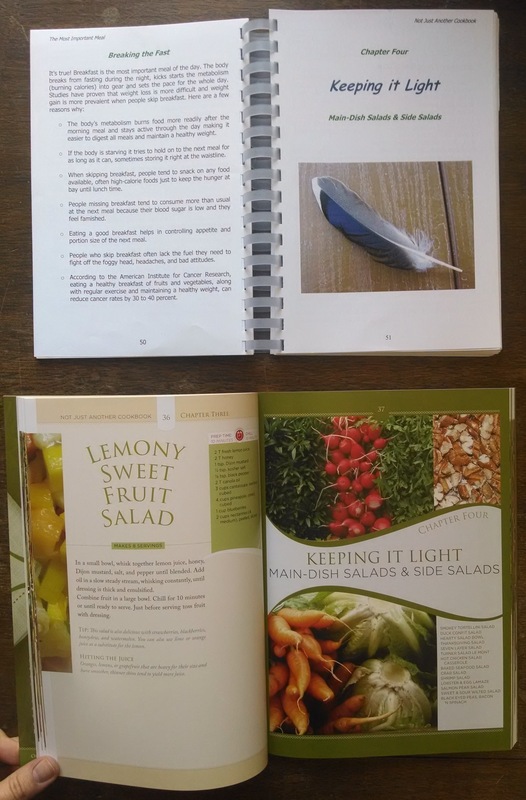 However, for our recent cookbook project with custom client Colleen Brethen, we were given a mock-up of the book that she had been using prior to professionally publishing her recipes. It was a spiral bound collection she had put together herself, with a plastic cover (to protect from splattering, no doubt! ), and cardstock pages. She asked us to create a glossy, professionally designed cookbook for her, and that we did! Colleen’s project had our creative team drooling every single day (it could be scientifically verified that our collective calorie intake quadruples when we are designing cookbooks), and we’re so excited to share the “before and after” images (excuse us while we break out the office cookies). If you have a collection of personal or family recipes—bound or unbound, scribbled on recipe cards or typed out in chapters—we would love to help you create a professional and memorable cookbook that generations after you will cherish.